As Pokémon started to hit it big across North America and the United Kingdom, it was a three-pronged assault of the games, the anime and the TCG. 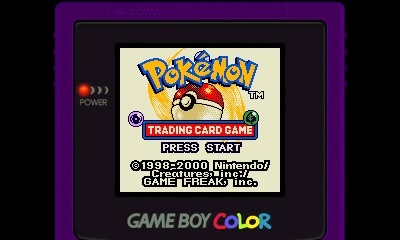 In 1998, Creatures Inc. and Hudson Soft worked on a combination of two of these, Pokémon Trading Card Game for the Game Boy Color, and the result was widely well received. In this game, you play as a card player who has learned through the card professor, Dr Mason, that the Legendary Cards, currently owned by the Grand Masters, are open to being inherited by the person who defeats them. As such, you have trek across the island to try and get them. The plot progression mirrors the main series Pokémon games, with there being eight Club Masters to defeat, and when you have defeated them and gained all eight medals, you have to face off against the four Grand Masters. This gives the progression a bit of familiarity and helps cement it being a Pokémon game. However, there are a few issues with this. While in the main games these are spread out over various areas in the region for you to explore, you cannot do that in this game. Instead, there are just a dozen places to explore, accessed through a map. Eight of these areas are the various clubs, akin to gyms, and have a few people to duel against, but the layout of all eight is basically the same. There are a few other areas, but they don’t provide a great deal of variety. This is where the game falters. As there are only a small amount of areas, with a handful of characters to defeat, the game has a lack of replayability. You’ll likely get bored duelling against the same trainers over and over in order to receive booster packs to get all 226 available cards within the game. This is especially more visible seeing as the multiplayer feature of the original Game Boy Color version is absent, as with all Game Boy Color titles releasing through the Virtual Console service. That said, the battle system is spectacular. It completely and accurately mirrors the Pokémon Trading Card Game as of 1998, with almost all the cards from the first three sets, Base, Jungle and Fossil, at your disposal. If you haven’t played before, it’s a simple turn-based card game, where you have to work out the best moves to use, energy placements and so forth. The first person to take all of their prize cards, which are obtained by defeating a Pokémon, will win the match. Don’t worry, though, as there are tutorials to get you up to speed. The game can get very tricky, as it really does rely on luck of the draw. If you’re not up to making your own decks, there are also many Auto Deck Machines to give you various possibilities, depending on if you have the cards. This allows even the most novice player play through to the end. For collecting fans, there’s a lot of content. There are 226 cards available in the Virtual Console version: 208 of which are obtained through booster packs given by Dr Mason or by defeating the various characters, and 18 of which are promos obtained through trades with NPCs, or winning the Challenge Cup in the post-game. 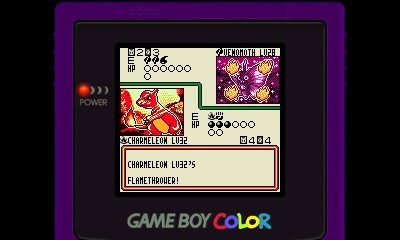 Unfortunately, there are two further cards, a Venusaur and a Mew, which are not available in the Virtual Console title. Graphically, the game is solid. 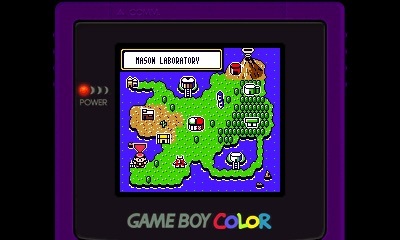 The overworld looks much like you’d expect a classic Game Boy Color game to, but due to the lack of variety in areas, you can’t see the graphics to their full capabilities. In battle though, you get to see the classic card artwork which has been accurately and beautifully recreated in the Game Boy Color style. The battle animations are rather basic and unvaried, but considering it is recreating a card game, it is rather understandable. The game’s audio is where the game really shines. The tracks are catchy and are among the best that have been seen in a Pokémon spin-off title. The other sound effects are a bit basic but match the style of the game. Pokémon Trading Card Game remains a classic. The battle system is solid, and it evokes great feelings of nostalgia, but there’s something missing. With a limited amount of opponents and no available multiplayer, the game is over relatively soon and lacks replayability, but that doesn’t stop it being a blast. It’s still a must for Pokémon Trading Card Game fans, however.